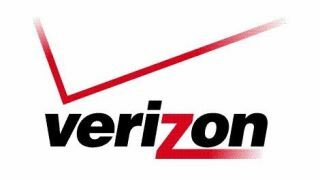 Verizon Wireless announced that, starting today, it will bring its 4G network to new regions across the country. The spread of 4G reaches 46 new markets this week, including cities in 22 states from Maine and Alaska to Texas, Indiana, and California. The carrier is also expanding its existing 4G coverage in 22 of the cities where it already has a presence. Those new coverage areas will get to enjoy Verizon's controversial new data plan. Verizon's new offering scrapped nearly all of its existing plans in favor of the "Share Everything" plan, which caters to users who share data between up to 10 devices. With the new coverage this week, Verizon says that its 4G network reaches 304 cities across the country, a number the carrier hopes to bring up to 400 by the end of the year. "Our aggressive 4G LTE network build-out is on track, providing our customers with the largest 4G LTE network in the United States – and the world – today," Verizon chief technical officer Nicola Palmer said. "We are committed to cover more than 400 markets by the end of 2012. We will continue to expand and strengthen our 4G LTE network and plan to offer full nationwide coverage everywhere we have 3G coverage today, by the end of 2013." Verizon is already well ahead of other carriers when it comes to the reach of its 4G network, and fully replacing 3G by 2014 would go a long way toward making faster network speeds on mobile a standard feature.